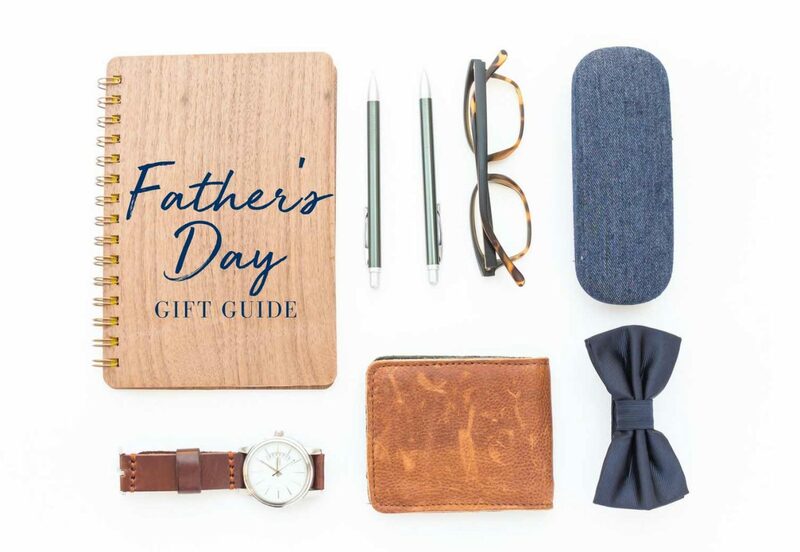 Father’s Day is Sunday, June 17, so we’ve compiled a list of 11 gifts that range in price, simplicity, and style. Perfect for every guy on your list! You can’t go wrong with getting him a new belt, tie, undershirts, or dress socks. They’re used daily, so getting a new set is always appreciated! Plus, it’s a super affordable option. This is something he’s not likely to purchase himself but will appreciate once he has it. Check out this waxed canvas option by Overlap Sewing Studio. Some dudes love their beards. Why not encourage him to make it smell good and feel nice? Try this shampoo, conditioner, and oil set for $30 from Beardition. Plus, it’s something he can put in his toiletry bag! Guys and technology go together like women and chocolate. Love him the way you want him to love you… Anker makes great products at affordable prices. It’s no secret, men love food and want something tasty in the pantry. For $59 (no shipping fee), your man will receive a handsome, handmade wooden crate filled with 6 full-size artisan food products delivered straight to the front door. There’s just something about leather that feels so…manly. Check out Rustico.com and find something you know he’d appreciate. Maybe a leather journal like the one below? Plus, they can personalize it with his initials for you! Most men like to have a few. It’s nice to have leather, gold, black, and silver. Check Jomashop for great deals on authentic watches. Give him tickets to see his favorite sports team or favorite band. Check out stubhub.com for ideas and to purchase tickets. Most guys wear the same Nikes for a really long time. It’s nice to have an extra pair that aren’t beat up from yardwork or the gym. Even for guys that aren’t necessarily handy, a nice cordless drill and impact driver is a must. Plus, they last for decades. You can get a combo for about $100. Create a fun family experience. You could do dinner and a movie, go to a baseball game, or visit a theme park. Or, you could do something as simple as buying a great family-friendly game that will make everyone laugh and build wonderful memories that last a lifetime. But, most importantly, don’t forget to thank your man (or dad) for simply being who he is and let him know that he’s appreciated!